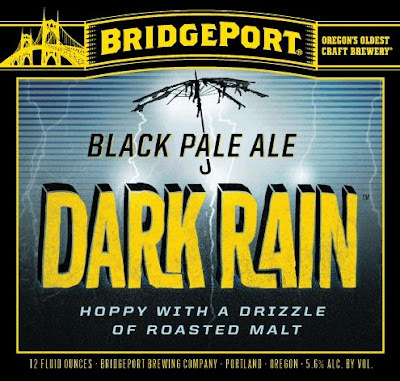 (Portland, OR) – BridgePort Brewing Company, Oregon’s oldest craft brewery, will release its newest winter seasonal ale, Dark Rain, on Jan. 1. 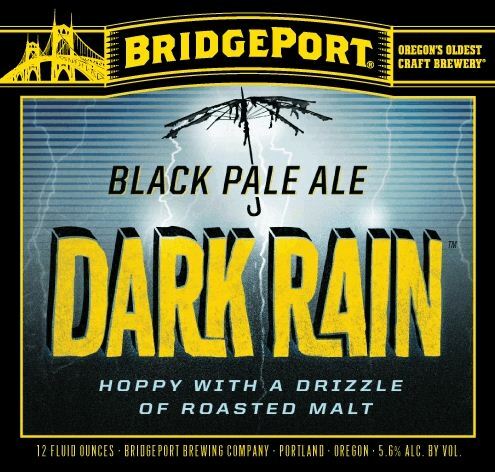 A perfect beer for cold winter and spring nights, the smooth roasted flavors of Bridgeport’s Dark Rain create the toasty-warm feeling of home. Just finally found a 6-pack locally of this on my way home here in Vancouver, WA. Perfect time to try it and review. $7.99 6-pack. Poured 1.5 12 oz. bottles into an imperial pint glass. - Pours a rather murky dark brown.. not quite black. Off-white foamy finger of head settles to a thin blanket on top and some bubbly lace about the glass. Overall a decent looking brew. - Has a fruity signature Bridgeport hop aroma.. a little pineapple, citrus, pine perfume along a light and subtle grainy aroma. Overall this smells like a slightly darker version of their standard IPA. Nice crispy notes. - Roasty light grain, a little bready and biscuity.. but overall light and not so sweet or chocolatey. If my eyes were shut, I might not know this was a CDA. Hop flavors are nice, and certainly the signature zesty herbal pine and light citrus hops. Much like their standard IPA, and not far enough into the CDA realm. Steel kettle-like flavors in the belch.. seems like that may be their yeast which I get in a ton of their beers now, where I never used to back in the day. - Overall this beer is well carbonated, and somewhat light bodied.. inching towards a nice medium body. Its a bit drying and cloying from the bitter hops, and leaves the mouth a bit parched as it should. 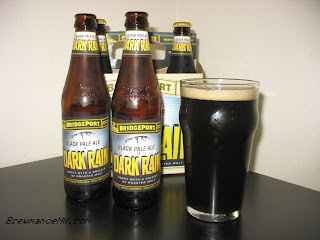 - The hop flavors are rather decent, and it's an easy drinker. But the malt just isn't there.. it is too much like their regular IPA. I would love a little more chocolate grainy malt along with all these hops. I hate to be overly critical, but I have been let down by the majority of their beers in the last 8 years or so. Don't know if I'd buy more of this one.